2017-18 Owl's Nest Bowl Pick 'Em Sponsored by It's Owl Time! CONGRATS to this year's winner GroundOwl, who tallied the most wins outright with 26 correct! 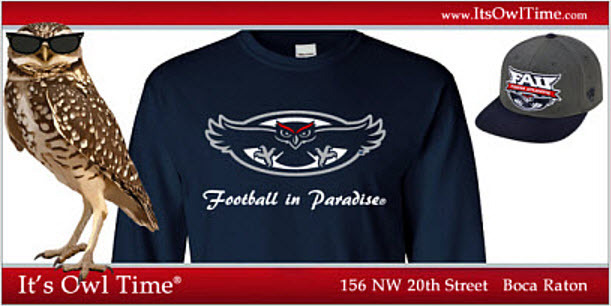 Please contact Mark at It's Owl Time to claim your choice of a T-shirt & Hat! Thanks Rick for putting together the Owl's Nest Bowl Pick’Em contest, it was an exciting competition all the way through the championship game's overtime last night. Also, thanks to Mark and It's Owl Time for sponsoring the contest for The Owl’s Nest. Mark, I will be sending you a message. I hope to stop by the store on Saturday and buy some additional stuff while I'm there too! Thanks for being such a long time and faithful member - 14 years!? Congrats Groundowl… and thank you Rick & Mark!!! Ditto to all, a great competition! Thanks for doing it guys.